Innumerable locations with spectacular natural landscapes framed by the turquoise waters and soft white sand of the Caribbean Sea, make Cancun one of the most renowned destinations for celebrating weddings and events. Cancun is also an ideal starting point for enjoying cultural diversity and entertainment, including visits to Mayan archaeological sites, beaches, sinkholes and famous theme parks. Minimalist luxury, personalized service and the modern facilities of the ÓLEO Cancún Playa, make it the perfect setting for intimate ceremonies. 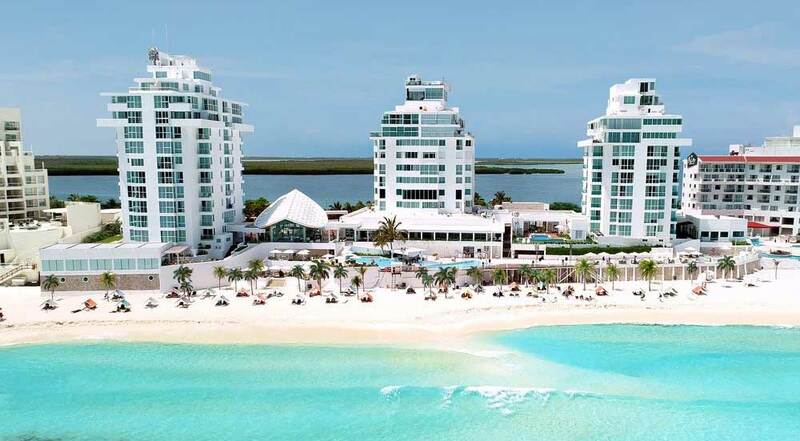 Its privileged location on one of the most beautiful beaches in Cancun and the contrast with the shimmering beauty of the Nichupte lagoon, add a sophisticated touch and irresistible charm to this luxurious boutique resort. Playa Mujeres is an exclusive area located in the continental area of Isla Mujeres, only a few minutes from downtown Cancun. Playa Mujeres’ privileged location is home to incredible tropical surroundings, with virgin white beaches and the incomparable turquoise blue water and fine white sand of the Caribbean Sea, as well as unique opportunities for relaxing and enjoying nature. The imposing presence of ATELIER Playa Mujeres, an adult only resort on one of the most beautiful beaches in Playa Mujeres, surrounded by an unrivalled 18-hole golf course designed by Greg Norman, enables it to offer a uniquely luxurious and restful experience. Its design, the work of real Mexican artists, was inspired by the country’s contemporary art, and its sophisticated locations make it the focal point for any celebration. 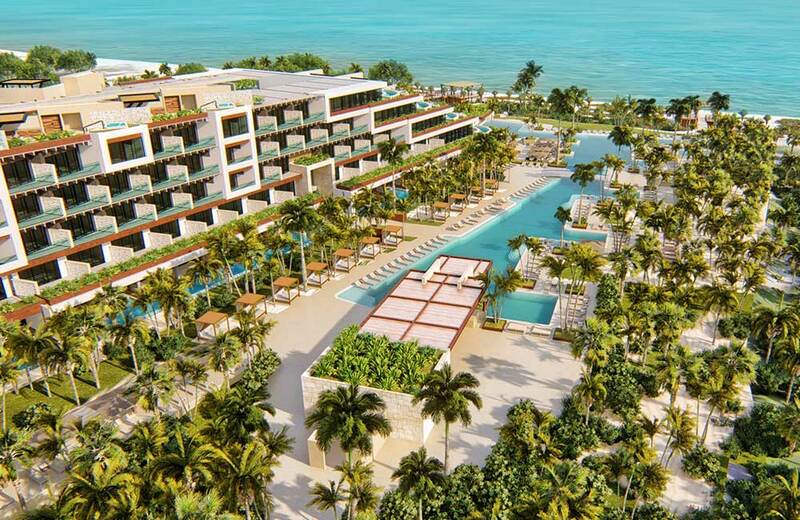 ESTUDIO Playa Mujeres offers a delicate balance between luxury, sophistication and family fun. The avant-garde touch of this family resort in Playa Mujeres evokes family togetherness and offers the perfect setting for unforgettable moments surrounded by loved ones.